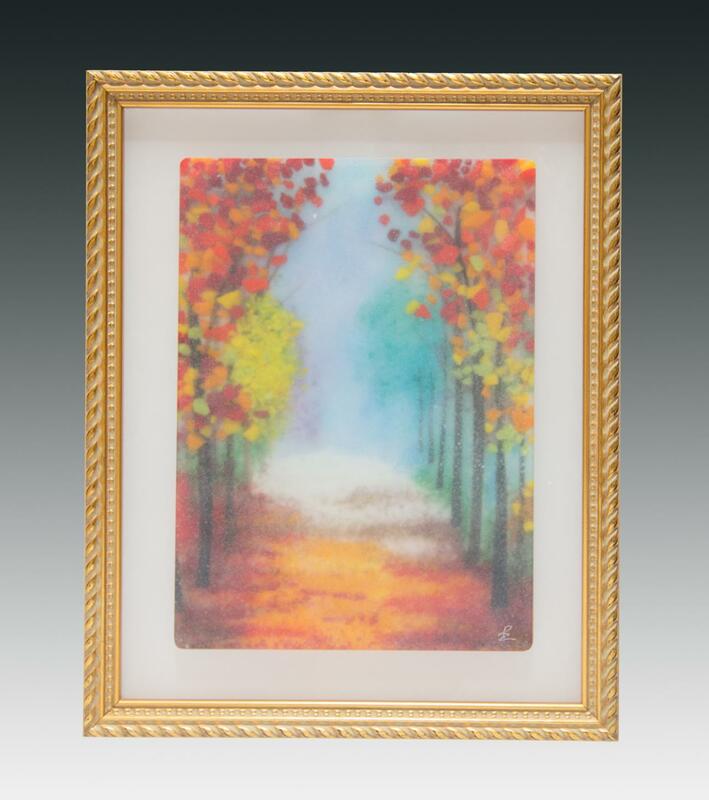 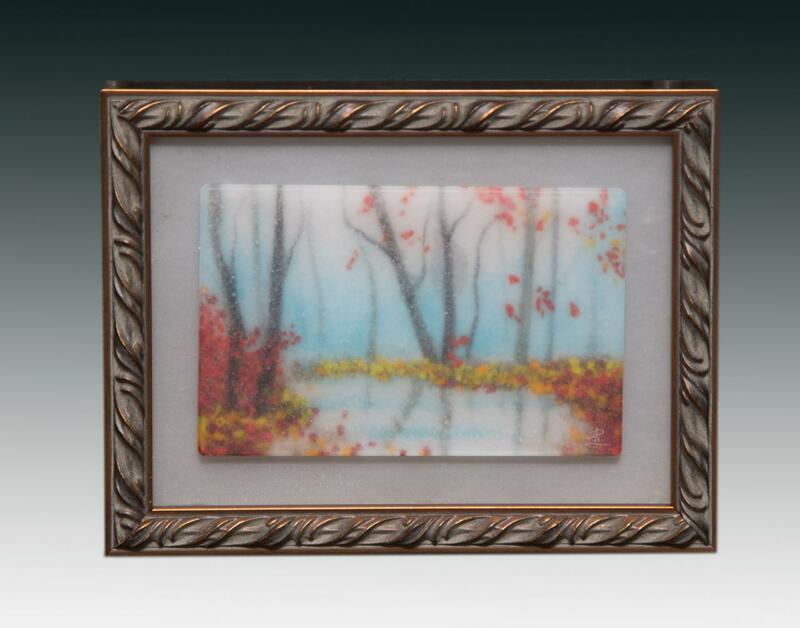 These beautiful images are made with tiny pieces of cut glass, threads of glass pulled on a torch, and crushed glass in a variety of sizes and colors. 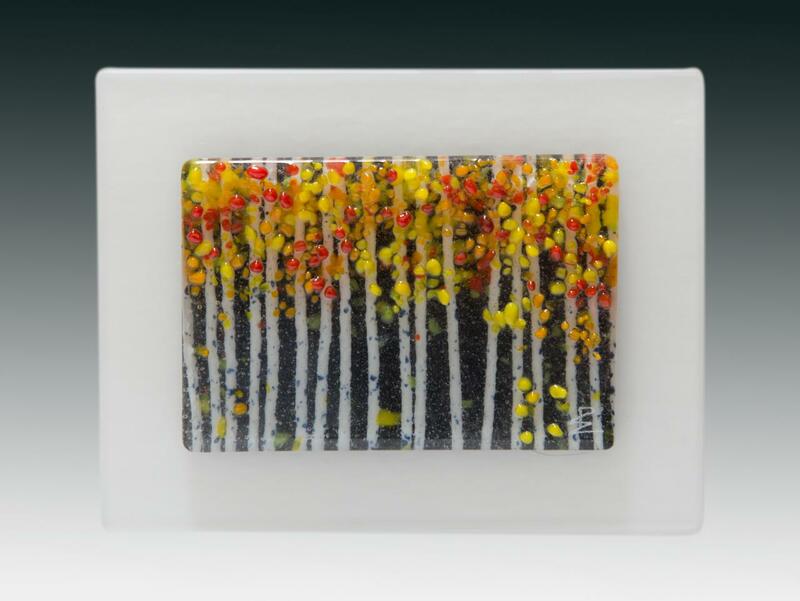 All of the glass elements are carefully placed into position with tweezers, brushes and other tools. 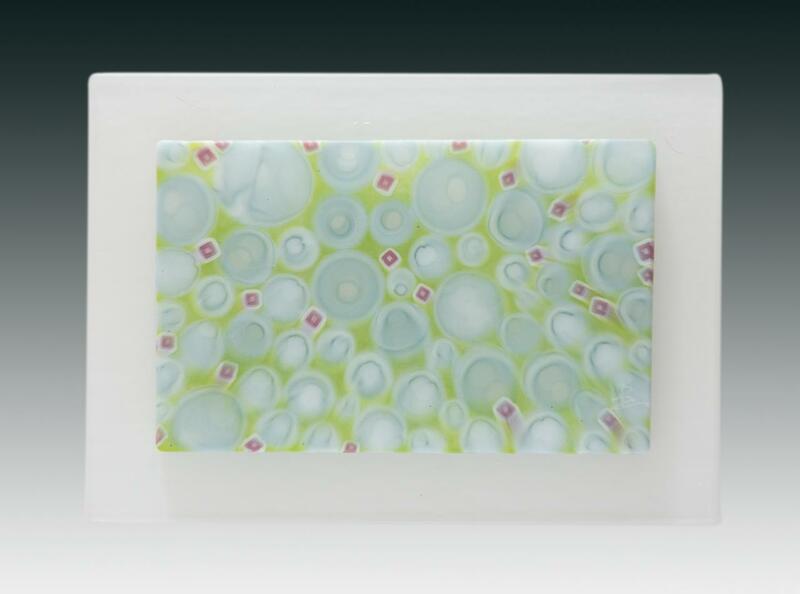 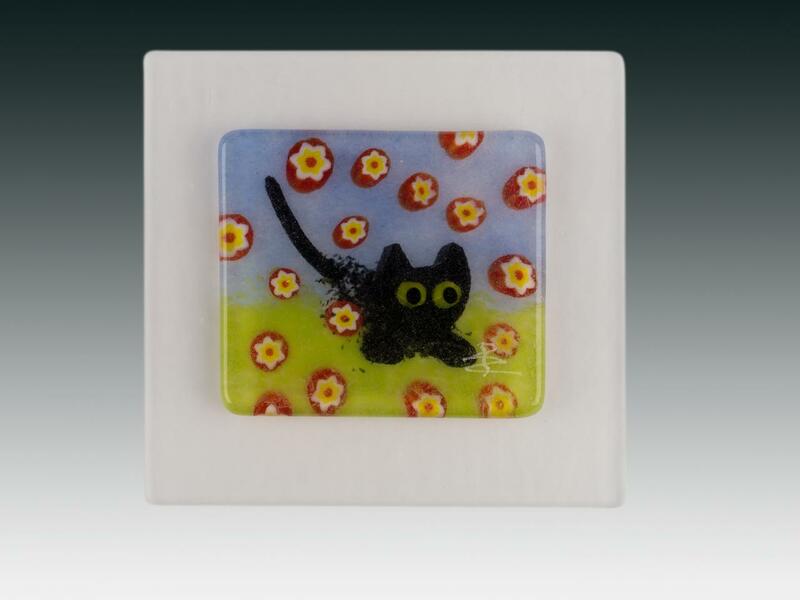 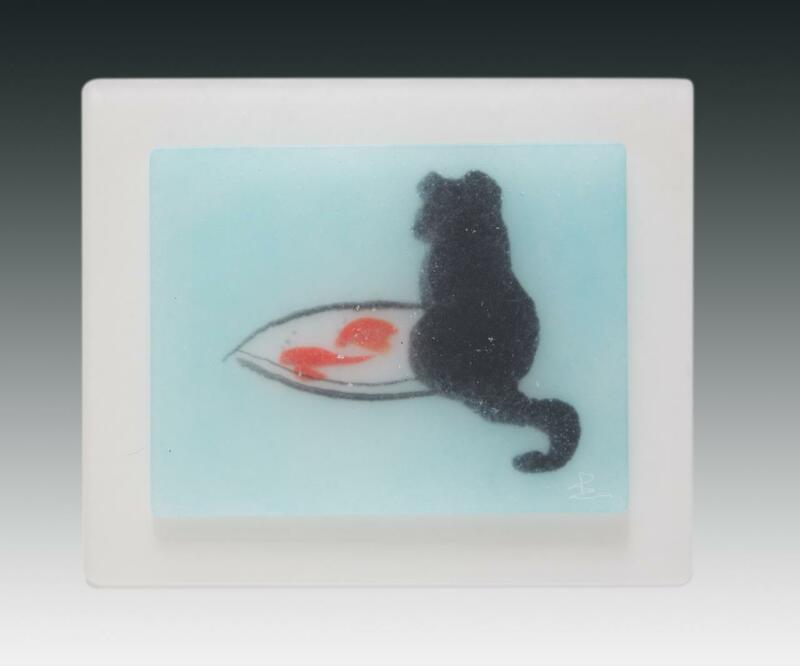 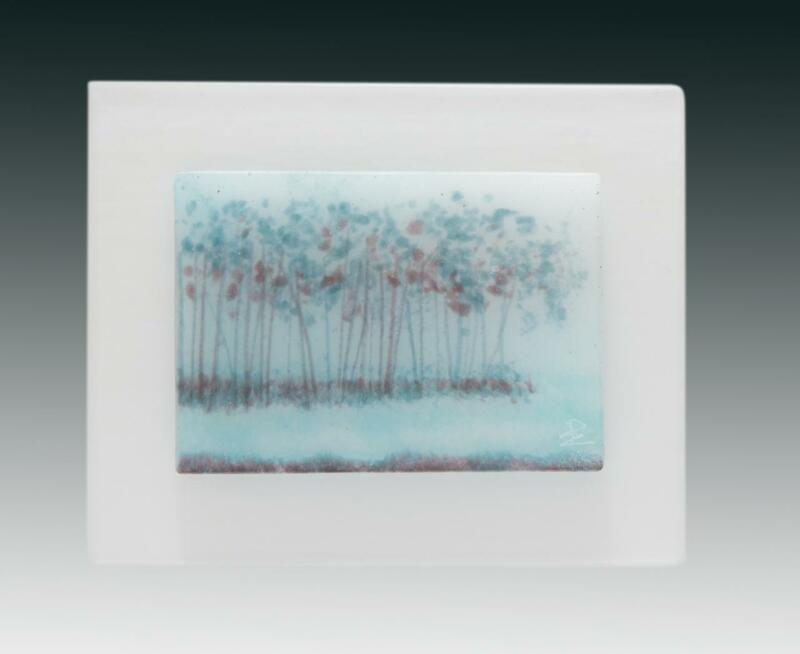 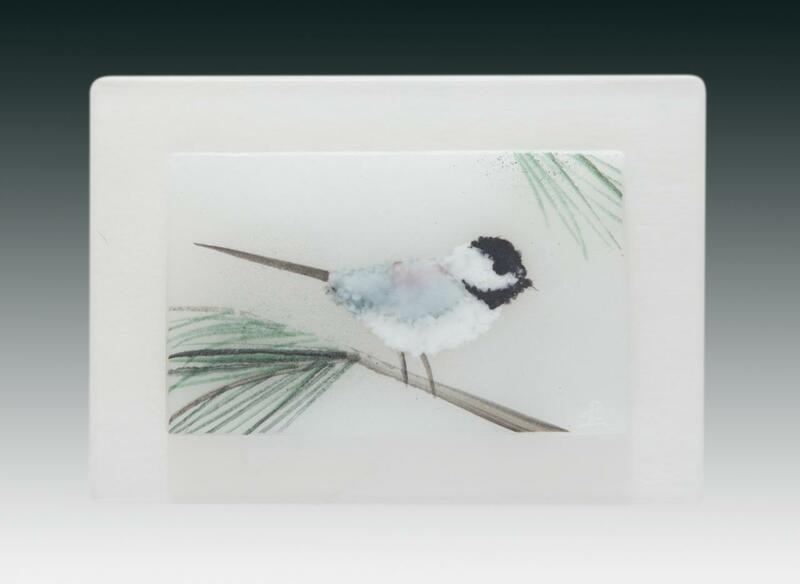 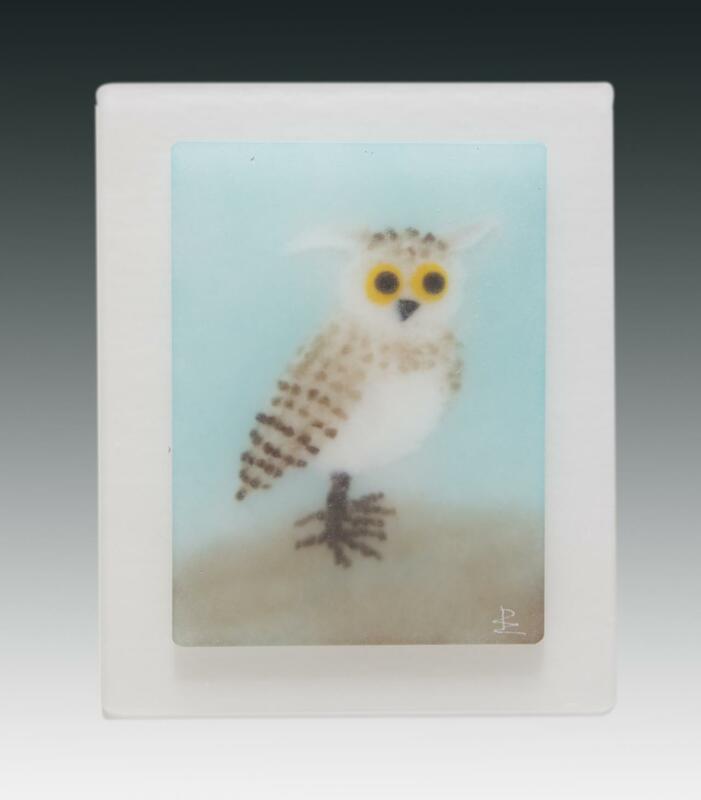 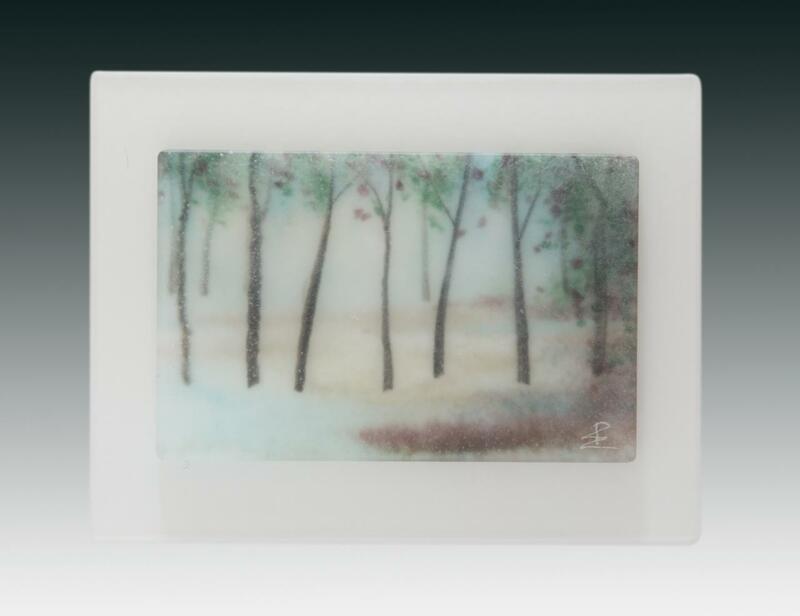 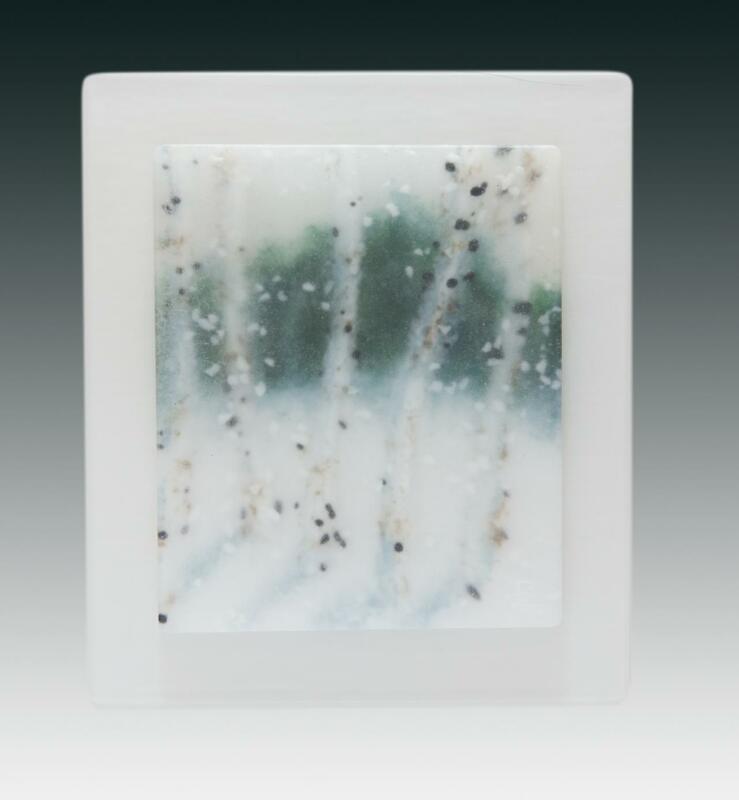 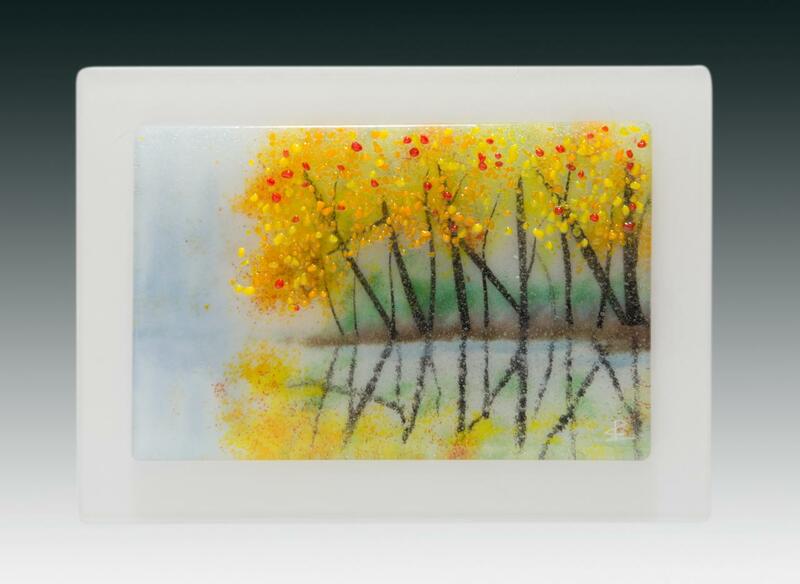 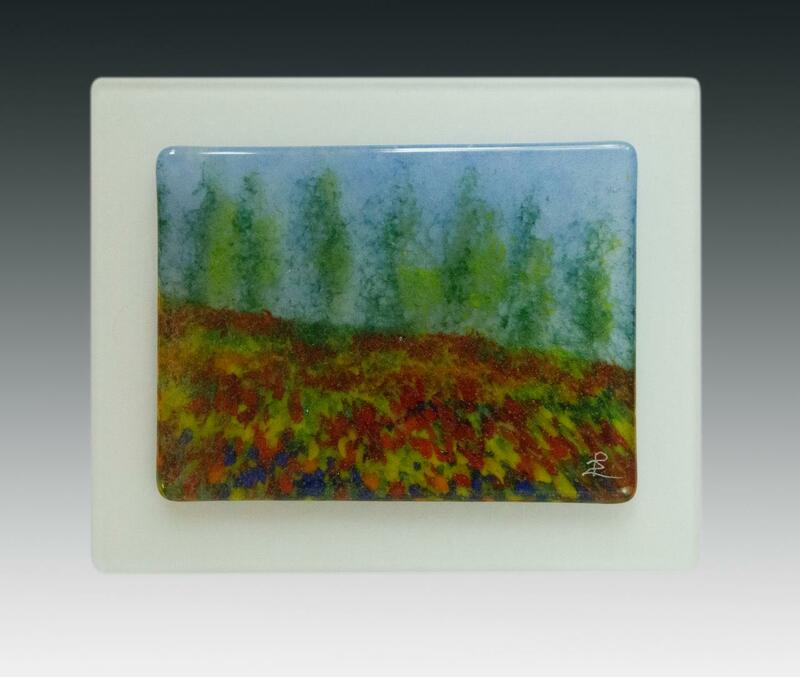 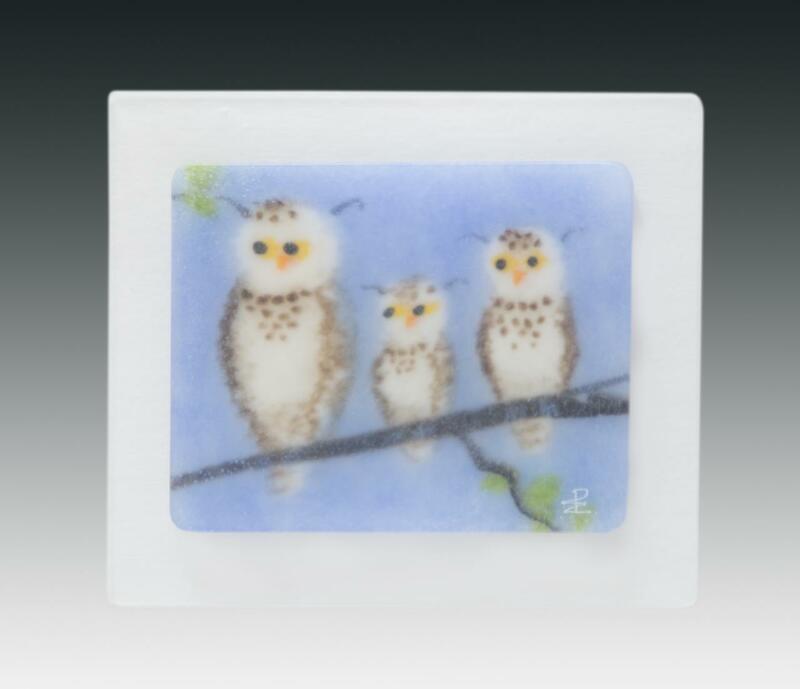 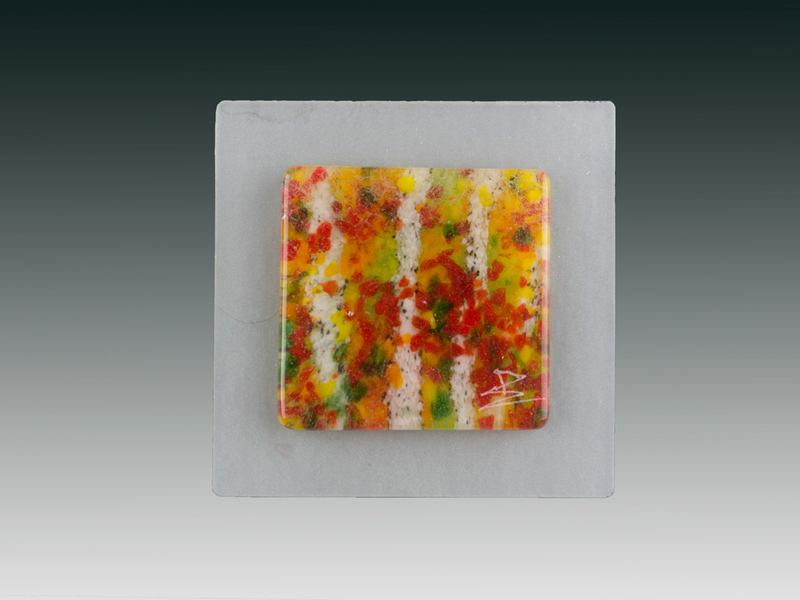 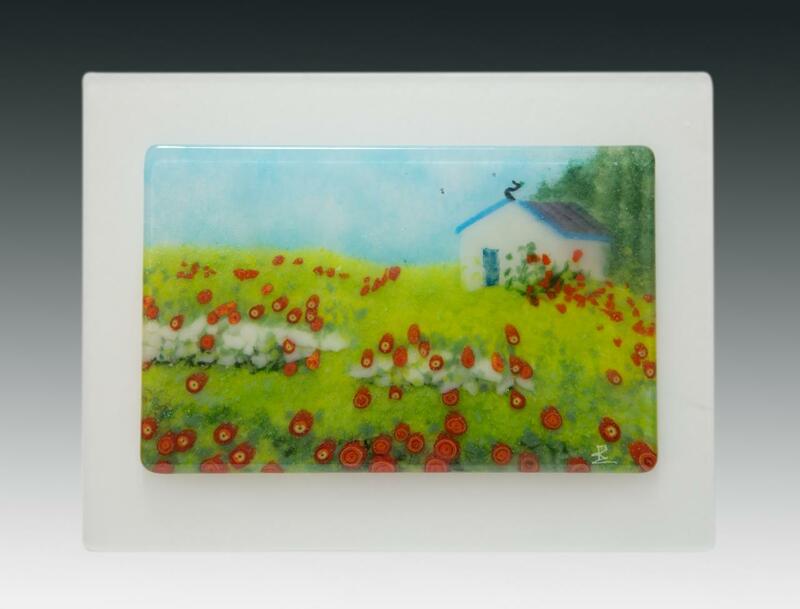 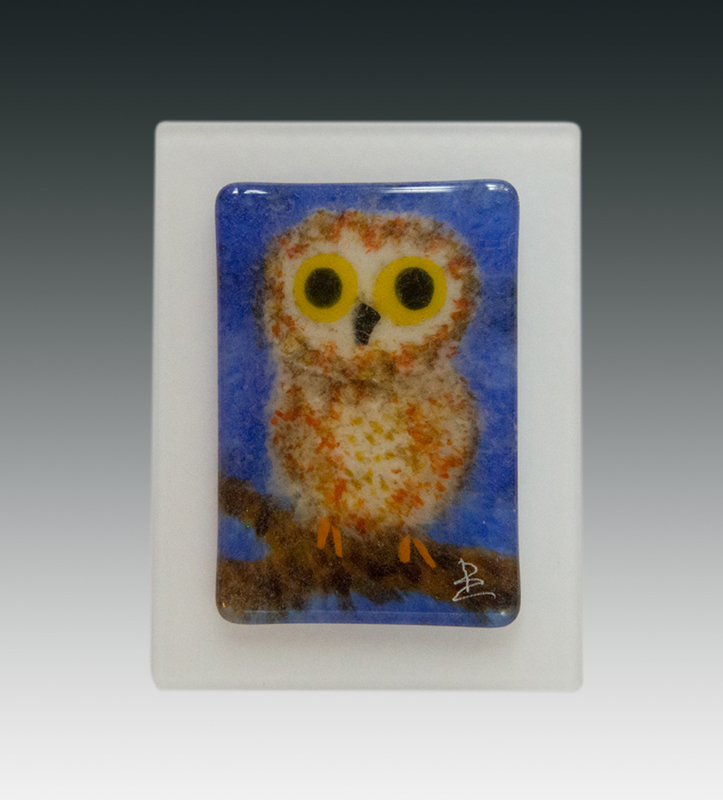 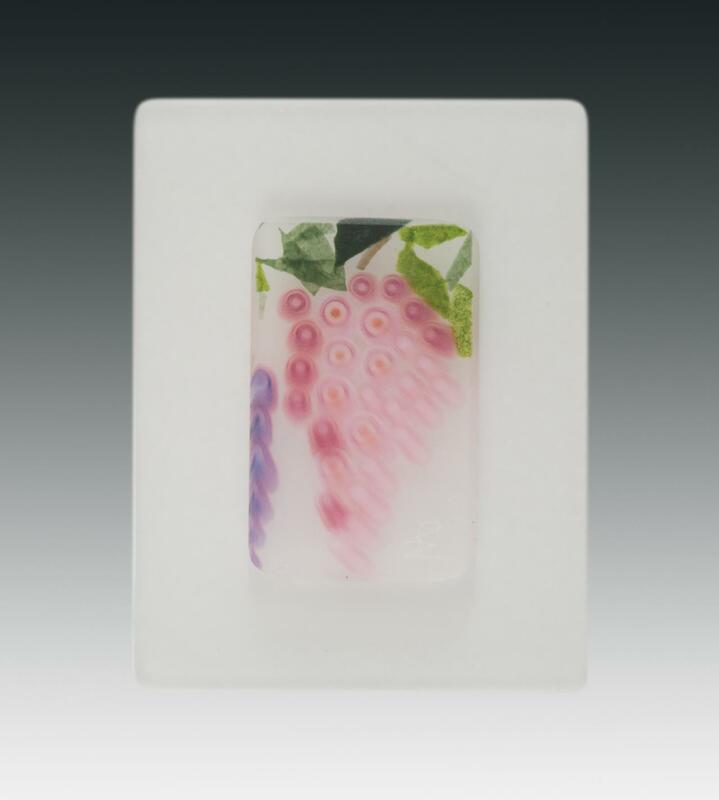 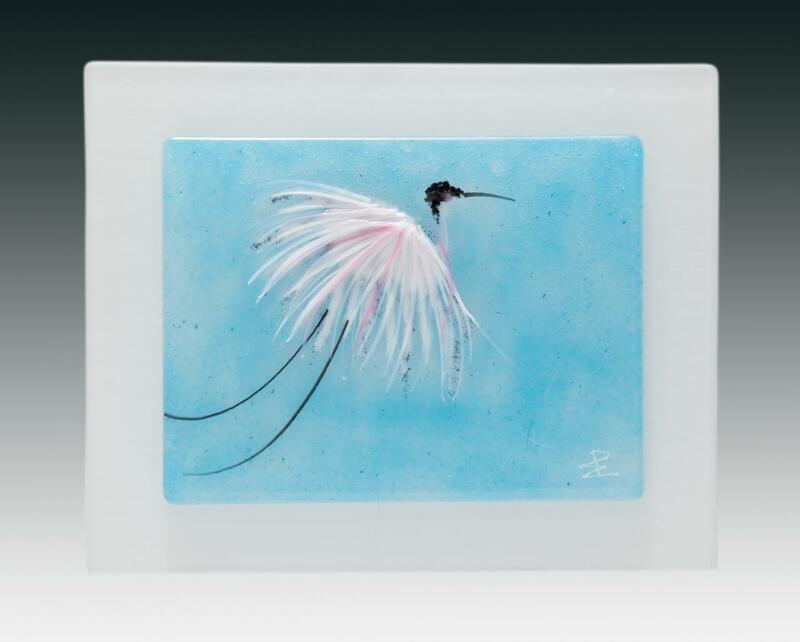 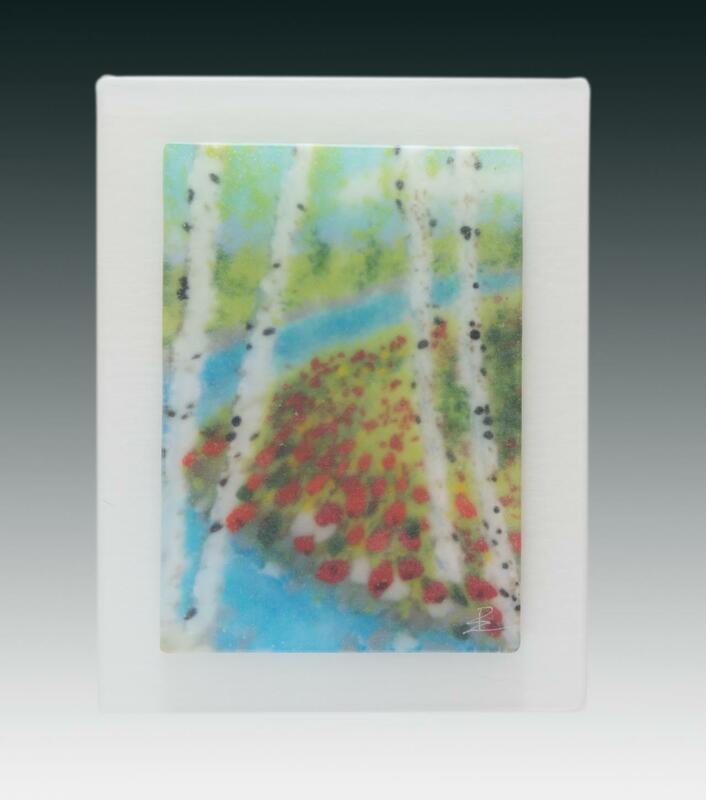 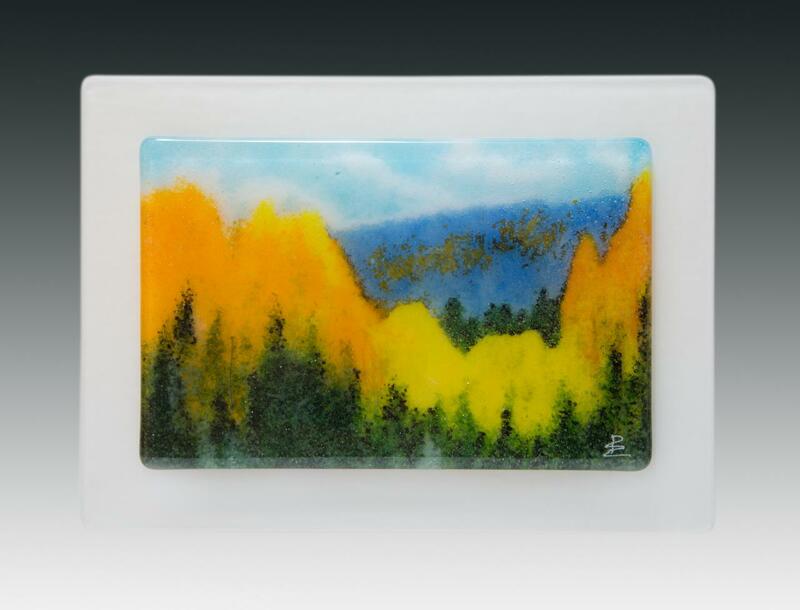 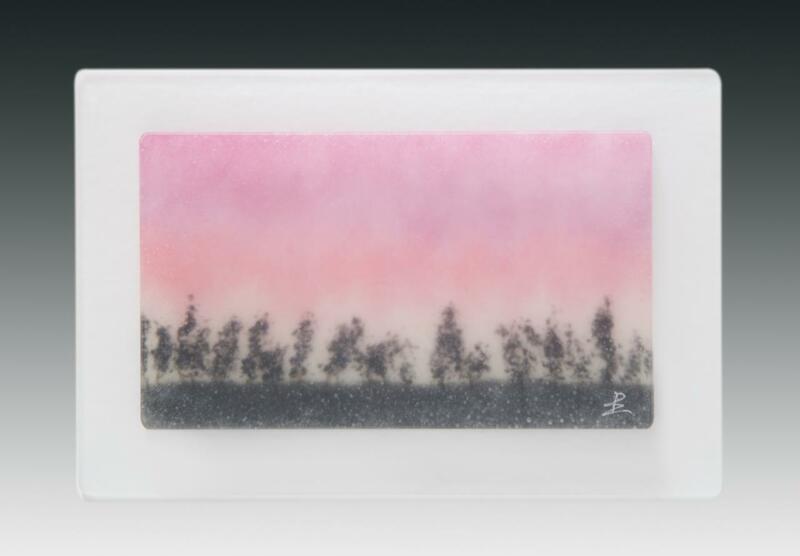 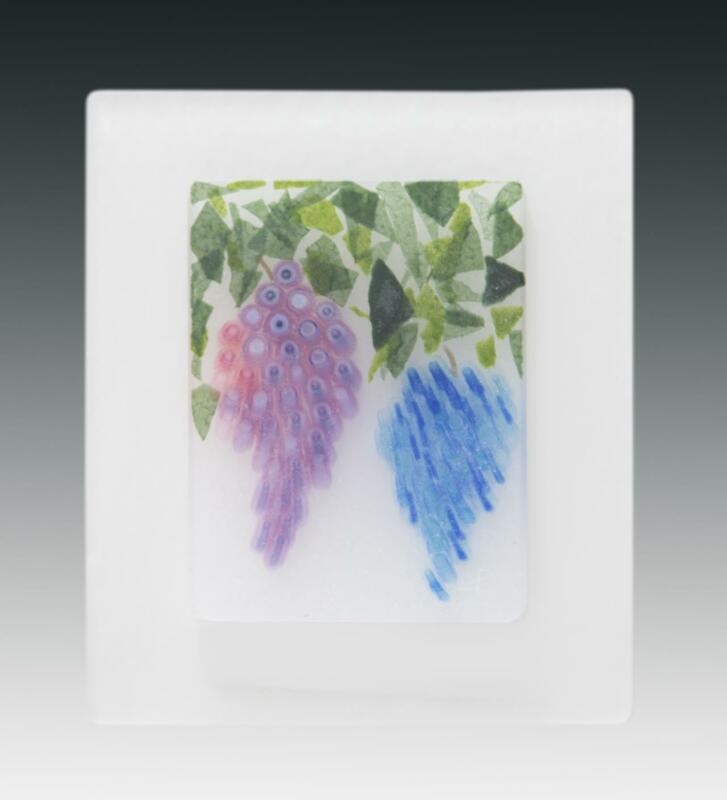 The image is then fired under pressure in a kiln to 1550 degrees, forming a solid panel of glass, then sandblasted and hand-polished or refired to finish. 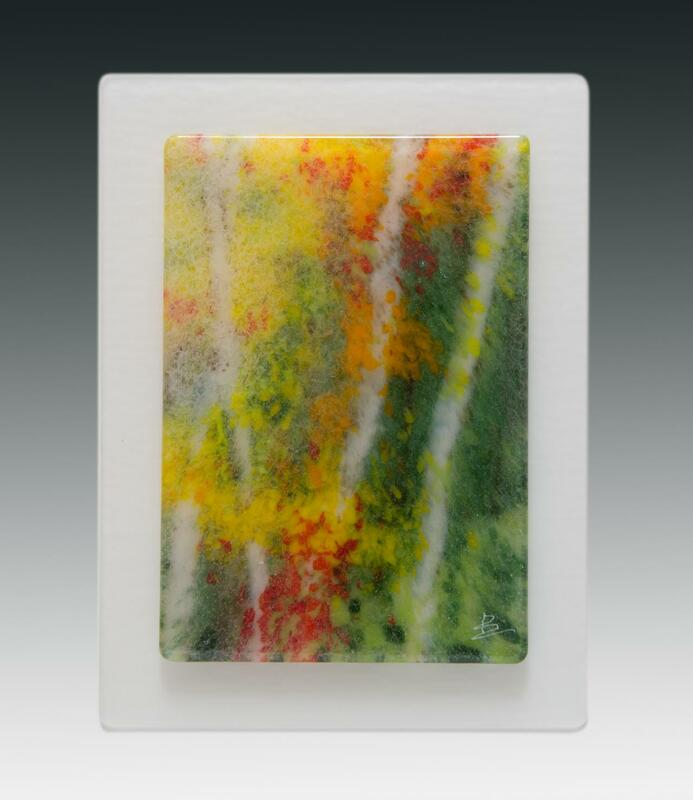 All of the works on this page are available -- either directly from Pezzulich Glassworks, or through the Byrne Gallery (540.687.6986 540.687.6986 or byrnegallery@aol.com), as indicated in the picture caption you'll see if you enlarge the photograph. 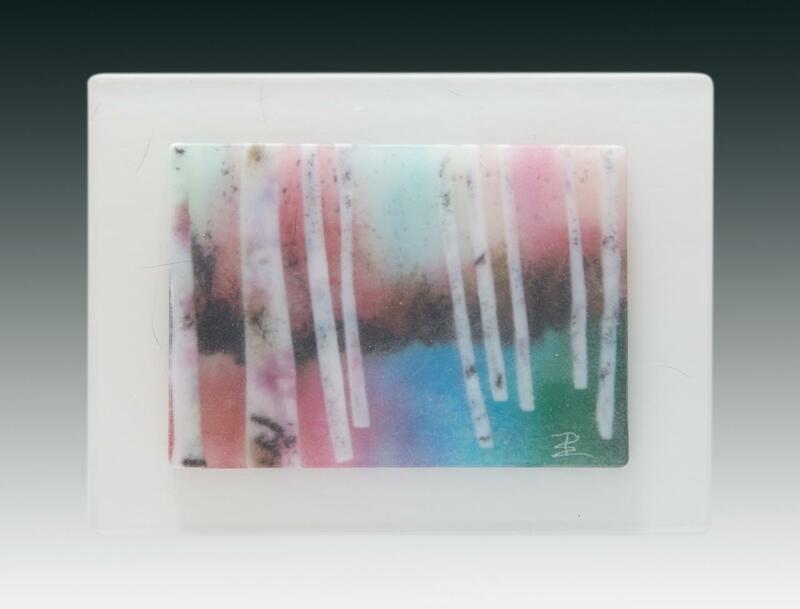 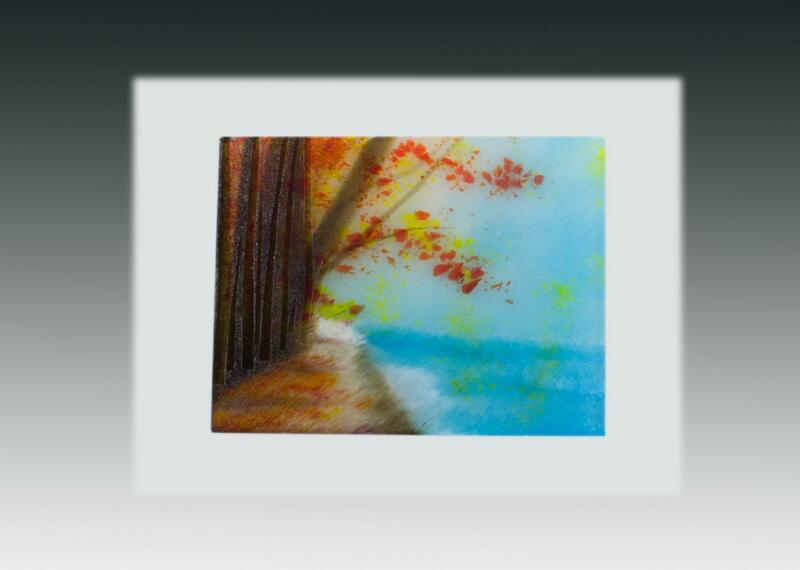 If you are interested in purchasing one of the available pieces, click here, or contact us to discuss the possibility of a custom-made work based on one of these images, or another image of your choice.